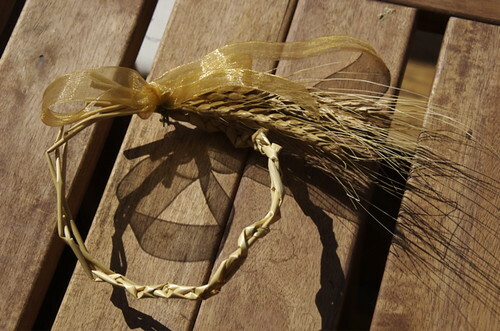 Wheat stalks were soaked in water to make them nice and pliable so that the kids could easily braid them. After the braiding, they just tied them off in a hoop with a pretty bit of golden ribbon. Perfect decoration for our Fall dinner table.